The same year that "Houston" crashed through some Whitney classics, another ensemble played the same day, featuring a redheaded singer new to the workplace. It was her first time performing at one of these annual events, and her powerful voice and dynamic stage presence knocked everyone in the audience for a loop, including our intrepid heroes. Unfortunately for Mr. Benitez, his punk rock vocalizing days would come to a rapid conclusion. With years of stage experience in both music theater and rock and roll, with local Pink Floyd-tribute Think Floyd, it should come as no surprise that Cheryl Jennison DaProza would be a natural fit. But surely an experienced performer such as this wouldn't stoop to performing with this group of goofballs? Well, yes, when it turns out she's just as big of a goofball. Accepting the position as lead singer before even realizing what she was getting herself into, Cheryl fully embraced the "mission" of the as-yet-unnamed ensemble: big, loud rock performed with maximum tongue-in-cheek. Earlier that year, Justin and Gino went to see Cheap Trick performing during an industry trade show. Opening up was the Bret Michaels Band, and they were both impressed by how the guitarists did not stop running back and forth on stage the entire show. Another element to be integrated into the new band - no standing around, staring at your shoelaces for these guys! Next up was a "look." Coming across a picture of The Knack, it was decided that skinny ties were it (for the guys, at least). It was also agreed that this style of music could not be appropriately conveyed by "normal" guitars. With Gino having invested in one Dean MXL already, pointy guitars seemed like the natural choice. Don't stand too close to the stage when these guys play, you might lose an eye! Another factor that indicated Cheryl was the perfect fit was her instant agreement to tackle Heart's "Barracuda." Long a favorite of the guys, they had yet to find a singer that was either capable and/or willing to give it a go. Other songs immediately added were Joan Jett's "I Hate Myself for Loving You" and Pat Benatar's "Heartbreaker" (which provided another key Ginger "element" when, out of nowhere during rehearsal, Justin belted out the high harmony during the a cappella section!). And as a nod to the Benitez-era, the Me First and the Gimme Gimmes version of Blondie's "Heart of Glass." Conveniently, this choice also provided the band with it's name. 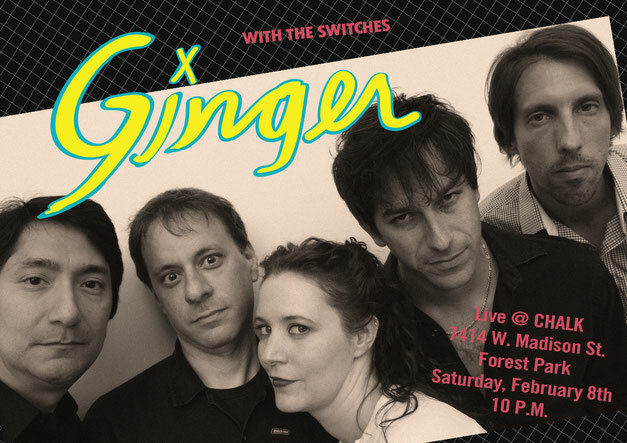 Covering Blondie with a red-headed singer - what else could we be but Ginger? 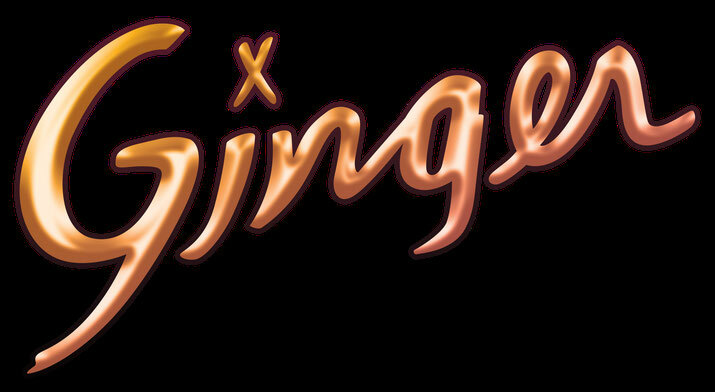 The sheer ridiculousness of this situation only proved to solidify that this line-up of Ginger was "meant to be." Several successful shows followed, but there was one more element that, though unknown to the band at the time, would put Ginger over the top.